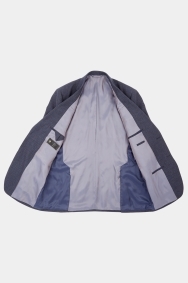 This sophisticated mid-blue iTravel jacket will rewrite the rules of your formal wardrobe. Ideal for the man on the go, it’s made from crease-resistant cloth and has been cut with a soft shoulder for a flexible, comfortable fit. 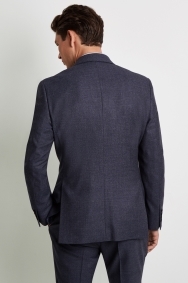 It also features corozo buttons and working cuffs for added stylish detail. 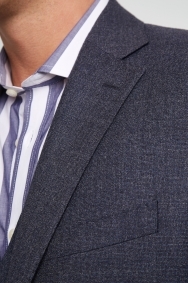 The mid-blue tone of this suit makes it versatile and easy to style with different shirts and ties. 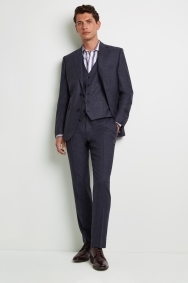 Make the most of its potential by wearing the full 3-piece suit. A steel blue and white striped shirt will complete the look. Great fit, nice lightweight and comfortable material. Not too bright blue - more of a dusky grey/blue. Not much else I can say - very happy. 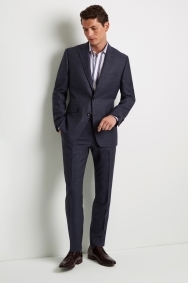 This suit very nice and very big quality. 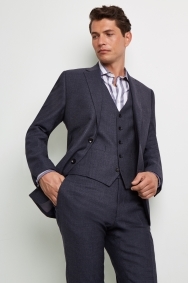 I like Cerruti suit.